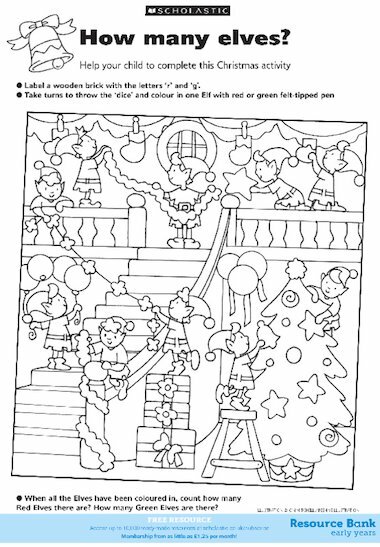 Help your child to complete this Christmas activity. Label a wooden brick with the letters ‘r’ and ‘g’. Take turns to throw the ‘dice’ and colour in one Elf with red or green felt-tipped pen. When all the Elves have been coloured in, count how many Red Elves there are. How many Green Elves are there?